On October 11, the Austrian and Novosibirsk companies held B2B negotiations to establish business contacts and to develop further cooperation. The meetings took place in the business centre of the hotel DoubleTree by Hilton Novosibirsk. The Austrian delegation was represented by the Regional Director on foreign relations with Eastern Europe and Central Asia of the Austrian Federal Economic Chamber Mr. Michael Angerer, the Commercial Counsellor of the Austrian Embassy to Russia Mr. Rudolf Lukavsky, the representative of IMC University of Applied Sciences of Krems (Austria) Mr. Jens Ennen, and top managers of 9 Austrian companies working in the following spheres: machine-tool industry, material transportation systems, pipe fittings production, plastic processing, environmental technologies, etc. Within the framework of the visit the President of the Chamber Yuri Bernadsky and the Vice-President Tatyana Bernadskaya met with Mr. Michael Angerer and Mr. Rudolf Lukavsky to discuss prospects of bilateral cooperation. Mr. Angerer noted that the main purpose of the visit is to see the opportunities for business cooperation and to know more about the investment climate of the region. Mr.Lukavsky emphasized the trade turnover decrease by 46 per cent in recent 3 years was sensible for Austria. 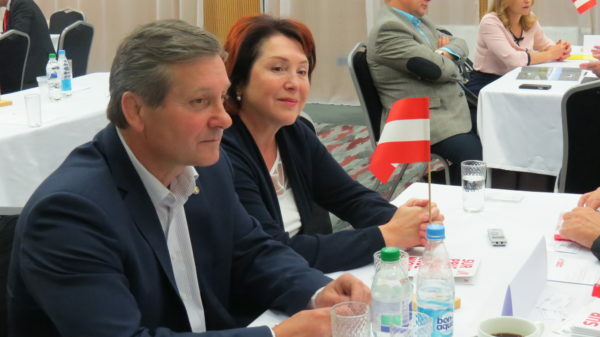 To initiate economic relations it is planned to open the Austrian Honorary Consulate in Novosibirsk. 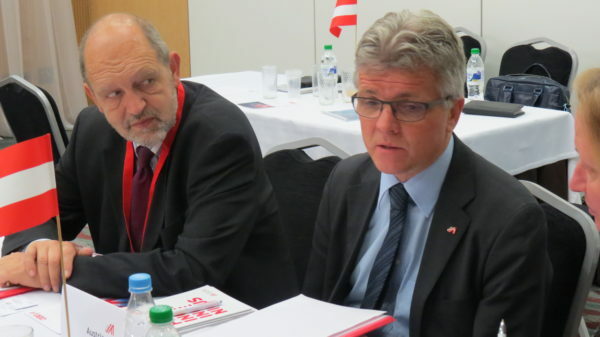 According to the NCCCI’ President words, Austria is a long-time partner of Novosibirsk in industrial cooperation. The regional economy is deeply diversified, there are no raw materials deposits but there are many large enterprises-locomotives which stimulate the growth of production. 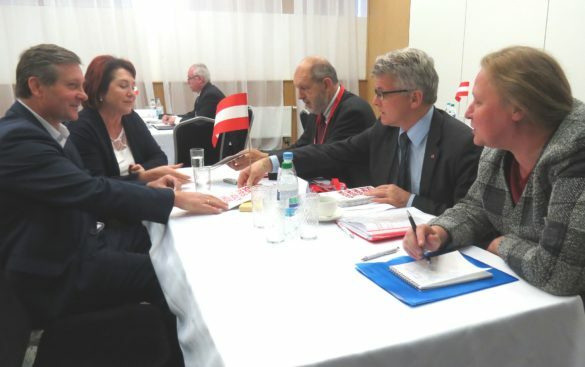 The parties agreed to cooperate further and to organize a return visit of Novosibirsk businessmen to Vienna.